What will be Trump’s next step on the Israeli-Palestinian front? Egyptian Jewish activist Levana Zamir believes that Trump’s next move will be to set up an international fund to compensate both Jewish and Arab refugees from the 1948 Israeli War of Independence. 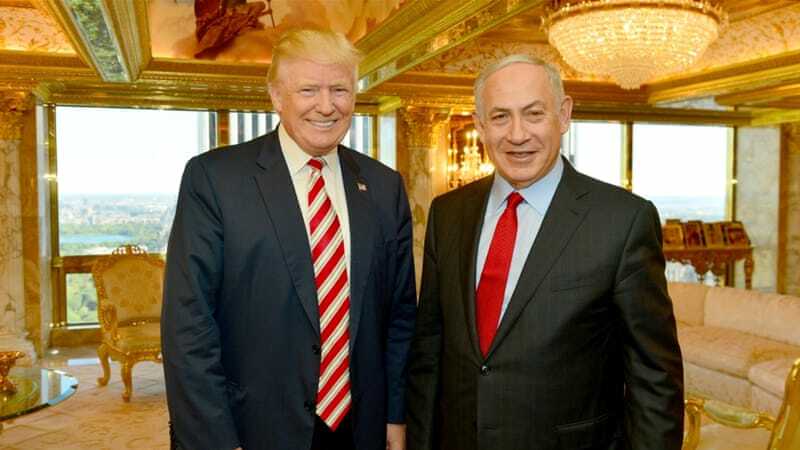 In recent days, US President Donald Trump has taken a number of steps in favor of the State of Israel. Firstly, he relocated the US Embassy to Jerusalem. Afterwards, he cut off funding to UNRWA and the Palestinian Authority without exempting US aid to Palestinian hospitals. And in recent days, Abu Mazen announced that the deal of the century includes the Palestinians being offered a confederation with Jordan, an idea that was rejected by the Hashemite Monarchy and which Abu Mazen was also not too enthusiastic about. Now, the US Department of Education on Civil Rights will be investigating how anti-Israel groups have promoted anti-Semitism at Rutgers University. After taking all of these pro-Israel steps, one must ponder, what unconventional step will Trump take next on the Israeli-Palestinian front? Between 1948 and the 1960’s, approximately one million Jews were either compelled to flee the Muslim world or suffered from a wave of anti-Semitic violence that prompted them to leave their homes in the Muslim world. Some Jews in countries like Iraq and Egypt were outright expelled. Others in places like Morocco were not expelled but nevertheless suffered intense anti-Semitism that made it impossible to continue living there. As Moroccan Jewish activist Dina Levin explained, “The Jews had no protection. Arabs used to throw stones at us but if Jews did the same in return, they would be imprisoned. The Arabs did not give us a good life. In Morocco, there was a verdict that Jews could not walk with shoes outside of the ghetto. It existed for 400 years.” Furthermore, after the State of Israel was established, what was a horrific situation became even worse. There were a series of pogroms and outright massacres against Jews across the Arab world. In places like Iraq, many Jewish women were raped during these pogroms.